» What are the Best Ergonomic Keyboards? Best Standing Desk for Laptops? Wrist Rest for Mouse – Good or Bad? What are the Best Ergonomic Keyboards? Computers, and by extension keyboards, have become an integral part of our lives. Unfortunately, we seldom consider how much of an influence the keyboard plays in our day, only thinking about it when the keyboard we received with the computer breaks down and we need to replace it. However, it’s worth considering getting a new keyboard not only when ours is broken, but also when we realize that our needs are not uniform and the same as everyone else’s—we are unique and might need to change our keyboards to better suit our lifestyle. We have investigated the best ergonomic keyboards for specific purposes. You will find our recommendations below – happy hunting! How does an ergonomic keyboard work? How do you connect a wireless keyboard to your computer? Do ergonomic keyboards prevent carpal tunnel? Perixx PERIBOARD-512 Ergonomic Split Keyboard - Natural Ergonomic Design - Black - Bulky Size 19.09"x9.29"x1.73"
Razer first launched their mechanical gaming keyboard in 2010 and their name has since become synonymous with an awesome gaming experience. A key component of gaming is the speed and versatility of the keyboard you play with. The programmability of a good ergonomic keyboard enhances and accelerates play, and serious gamers need a keyboard that can be programmed to suit their exact needs. Gamers tend to prefer mechanical keyboards as they require less depression for each tap compared with membrane keyboards. The BlackWidow Chroma V2 has been developed for those gamers who prefer a distinct “click” when depressing a key and instant release after depressing. Besides quality, this keyboard justifies its high-end price with great durability, as evidenced by the rated keystroke lifespan of 80 million clicks. The actuation and reset points of the keys are almost half the distance of other models, ensuring that your hand easily glides over the keyboard while playing. 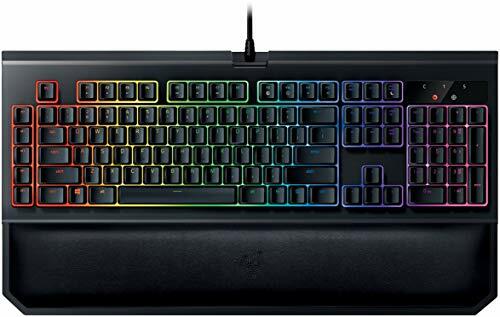 This keyboard can be easily programmed with Razer’s Synapse program, which allows a user to configure lighting settings and program individual keys as required. These settings are then uploaded to the Cloud, ensuring that they are easily saved and avoiding reconfiguration when you attend LAN parties or tournaments. Synapse will also allow you to synchronize with all Razer devices. The keyboard also has Chroma backlighting which can be switched off or dimmed (programmable with 16.8 million color options), as well as built-in anti-ghosting technology, which allows six keystrokes to be received by the keyboard simultaneously. Five additional programmable keys have been added to enable macroprogramming, ensuring that players can make what would be complex keystrokes with a single touch. The large ergonomic wrist rest ensures that all night gaming has minimum impact on your hands, and is also removable as it is attached by magnets to the keyboard. This keyboard is perfect for long stints of work as well as play. The ergonomic design and comfort factors allow you to keep going for longer. As well as that the customization options are impressive! These allow you to set up the keyboard in many ways, keeping your spells or Excel macros just a keypress away. As with most things, the Razer BlackWidow Chroma V2 has its flaws. If your a Mac user then be prepared for some features to simply not work due to the lack of full fupport with this OS. While not a drawback, the macro keys being on the left is an odd placement (unless you're a lefty) so will take some getting used to if you've only ever had macro keys on the right. A true ergonomic keyboard allows you to use your keyboard for hours on end, without straining your hands and shoulders. It can take a while to relearn the position of the keys on an ergonomic keyboard, but the risk of repetitive strain injury makes it worth the effort. There are several types of ergonomic keyboards, but the most important requirement is natural wrist posture and the keyboard allows the natural movement of your hands and arms, with a place to rest your palms if you are doing a lot of touch typing. The Perixx PERIBOARD-512 has been split into a V shape to reduce wrist movement and allow for the easy reach of all the keys with minimum movement. This is a full-size keyboard but the V shape of the key placement allows you to minimize travel across the keyboard. There are seven multimedia keys which are conveniently placed at your direct line of sight when you look down at the keyboard and allow you to control volume, access the internet and numerical and caps lock without needing to move your hands too much. The keyboard just plugs into your computer with a USB interface—no additional programming is necessary. The cord that plugs into your computer is quite long (almost 6 ft.), which could become cumbersome if it is not tucked away under your desk. 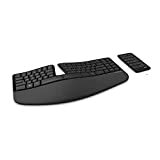 Although this ergonomic keyboard is quite bulky, the 3D design allows your hand to float across the keyboard with a palm rest across the whole keyboard that ensures comfort and support for your wrists, though the rest is not padded which would have been a nice touch. Split-key and 3-D design conforms to your natural arm and hand positions. Integrated palm rest design support your wrists a comfort position. The tactile keystroke is designed in order to reduce pressure when you press the keys and to give you the benefit to type more comfortable. Plug and Play keyboard with USB interface and 6.0 Ft cable; Build-in with 7 Multimedia Hot keys. The split keyboard is highly beneficial in terms of ergonomic design and Perixx has done well with this. The built in palm rest also aids with this which is nice to see. If you're coming from a traditional style keyboard then the split style will take some getting used to though this will in time benefit you. Really the only downside seen was the fact that while there is a palm rest, without padding it's just not that comfortable. Some of the keys, especially the arrow keys were too close together though with time you do get used to it and stop pressing the incorrect keys. If you need to be on your computer non-stop day in and out, it is especially important to select a keyboard that has been designed with your needs in mind. Hours and hours of coding with outdated equipment can easily lead to injury and discomfort, therefore it is really important that ergonomic design takes precedence when selecting a programmer’s keyboard. As programmers tend not to use the numerical keys on the far right of a normal keyboard, nor the arrow keys, a keyboard that is 60% of a normal type keyboard has been developed to minimize movement of the hands. Some of the best ergonomically designed keyboards have also been split into two sections, which allows the user to keep their hands straight on the keyboard and avoid compression of the ulnar nerve, especially for those who have broad shoulders and need a lot of spacing between their hands to keep their shoulders straight. The MistelBarocco ergonomic keyboard not only allows comfortable and efficient typing but allows programmers to fully customize their keyboard and program the keys to their exact requirements. This 60% keyboard has been split into two sections. The right-hand section is the master section. It is here where all functions and features have been stored. It is linked to the left-hand side by a coiled cable. Unfortunately, the design does not allow you to clip the right-hand side to the left-hand side if you should want to or if someone else wants to use your computer. The layout of the keyboard is very similar to a standard keyboard and to the relief of programmers, the “6” key has been placed on the right-hand side, an irritation that many users of split keyboards have complained about in other models. The Baracco is a silent keyboard but has the tactile bump you can easily feel—you need to press down firmly to actuate the key, making it a nice middle-of-the-road keyboard for both gamers and programmers. You do not need to download software to program the layouts and macro keys of this keyboard, as all customization of this keyboard is done with keyboard bindings. There are three built-in preset layouts (Qwerty/Dvorak/Colemak), as well as three programmable layouts (NKey Rollover, Media Keys, and ANSI/ISO). At the bottom of the right-hand keyboard, there are three LED’s that inform you which typing mode you are in, which layer you are on, and your programming mode. Unfortunately, there are no Apple-style keycaps. The lighting of this ergonomic keyboard can be adjusted to suit your needs as well and has nine multiple modes to choose from which are also easily programmed from the keyboard itself, changing the backlighting to suit your mood. This keyboard weighs only 1.12 lbs., so it is light enough and compact enough to easily be carried around with a laptop. There are supports to lift the keyboard at the back for tenting, which would allow negative tilt of hands when typing, the most natural posture. The keyboard is delivered with a mini USB cable, micro USB cable, orange color “Enter” key and Mistel key puller that can extract up to three keys simultaneously for quick removal and cleaning. Cherry MX Brown switches, a good blend of typing and gaming, the switches are widely considered to be the best "middle-ground" switch. 9 Multiple-modes LED RGB Per Key Backlighting with Reactive mode in Single color & RGB color/Ripple mode in single & RGB color/Aurora mode in Single & RGB color/Rain Drop/Breathing/Wave modes. The best feature of this keyboard is the true split functionality. 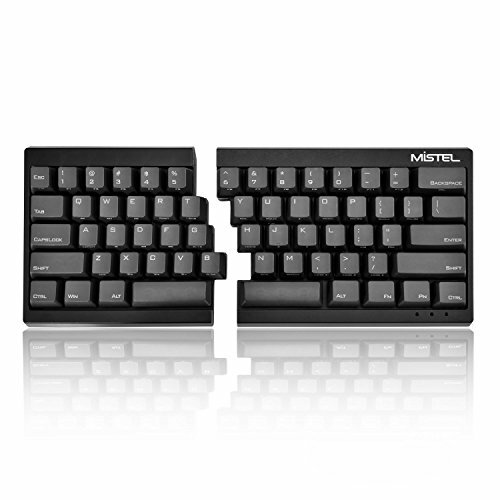 Where a lot of other ergonomic split keyboards are still static, the Mistel Barocco allows you to truly separate the halves into any position you want (within the allowance of the cables). The benefit of the true split is also it's downfall as it means that it is very easy to shift the two halves out of whack and into a more uncomfortable and less ergonomic position. Some sort of locking mechanism to keep the halves in position would have been nice. Your keyboard is an essential part of your computer. Even if you do not have specialized needs such as gaming or programming, you still need a piece of equipment that is reliable and well-built that will stand the test of time. No bells and whistles, just a workhorse that will work every time you fire up your PC. Because your keyboard is one of the most used pieces of equipment on your computer, even if you have an expensive keyboard, it is always worth having a good backup which can come in handy when there’s an emergency or to plug into your laptop when you need to type a lot and need to work more comfortably. This black Verbatim Slimline keyboard has soft-touch keys that have a low profile and are quiet as a mouse while you are typing. The keys are placed comfortably apart, but the backspace key is a bit small and it might take some practice to find it easily, but overall the keys are large enough to ensure smooth typing and robust enough to handle a full day’s work (or play) by almost anyone. The keyboard plugs into a USB port and is compatible with Macs as well. 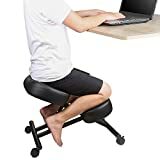 The back of the keyboard tilts up on adjustable legs for ease of comfort and to try to avoid strain on your hands, and because of its slim design, it will not take up too much space on your desk. This keyboard is corded, which can lead to frustration if you like an uncluttered desk, but the cord also makes sure that there will be no mad dashes to the store when your batteries run out on you and you have to finish work. This affordable keyboard is beautifully slim and simple to use, what's not to like? The small backspace key is super annoying especially if you make as many typos as I do! Mobile offices are no longer something that only tech-savvy people have, it has become a key part of how we do business and communicate with others. You are just as a likely to see someone working on their laptop on a train than reading a book—we carry our offices around with us. Laptops, notebooks, and smartphones keep us connected throughout the day, and sometimes into the night. Bluetooth technology has allowed computer peripherals to become more streamlined, and also easier to carry around, enhancing the mobile office technology. There is no longer a need to carry cables and chargers around with you—with a set of batteries and a Bluetooth enabled ergonomic keyboard and mouse you can just whip it out and start typing. The iCleverBK05 allows you to sync with two devices, simply type in “Fn+Q” and you can connect to your smartphone and with a cable to your laptop—one device is activated, the other on standby. The keys of this keyboard are big enough for large hands, but when folded, the keyboard folds into a compact size small enough to easily slip into a bag. There are a central panel and two side panels that fold over the central panel when not in use, protected by a silver casing. The Bluetooth range is 30ft (10m) so you are not forced to huddle into your PC for the keyboard to work. The iClever comes with a built-in lithium-ion rechargeable battery. There are three color choices for backlighting: green, blue and red. The battery life with backlighting on is 5 hours, with it off it extends to 300 hours. The backlighting brightness level can also be adjusted. The hinges on the side panels unfold to open the keyboard and are quite sturdy, but unfortunately, there is no mechanism to lock the sides into place. There are two stands to keep the keyboard steady and slightly lifted on a flat surface. The compactness of this keyboard is awesome when you have limited space in your bag, but the fact it expands out to give you an almost full size keyboard is amazing. This means less errors and less aches and pains compared to typing things out on your mobile or tablet! The quality could be better, as we encountered sticky keys on the keyboard. It's also not quite fully sized so long term use may still cause issues, but it's still better than a mobile phones keyboard! Keyboards are an important part of our day-to-day lives, whether we realize it or not. Most of our day is spent either working or playing on our computers and as keyboards are the link between us and the actual computer, it is worth taking the time to choose the one we buy carefully. How you use your computer is going to determine the type of keyboard you need. 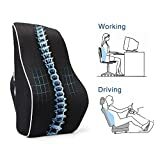 Are you uncomfortable typing for hours on end because your wrists get sore or do you slouch on the couch while playing games the whole night? Do you need support from your keyboard for sore hands, or do you need help to see keys at night? Or both? 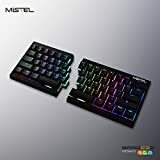 If you are not a specialist gamer, you might not realize that the key layout is also something that you need to consider before buying a new keyboard. Are you an accountant that needs the number keypad, or a programmer that doesn’t? Keys are placed slightly differently on different keyboards, so it would be easier to make sure you are comfortable with the layout before you put your money down. If a cluttered desk drives you insane, you will be happier with a wireless keyboard without a cable. However, if you would rather not deal with batteries, it might just be easier to have a corded keyboard that doesn’t need them. Or a second, cheaper keyboard that doesn’t need batteries for those days that you forget. Do you carry your laptop with you all day and are frustrated with the keys? 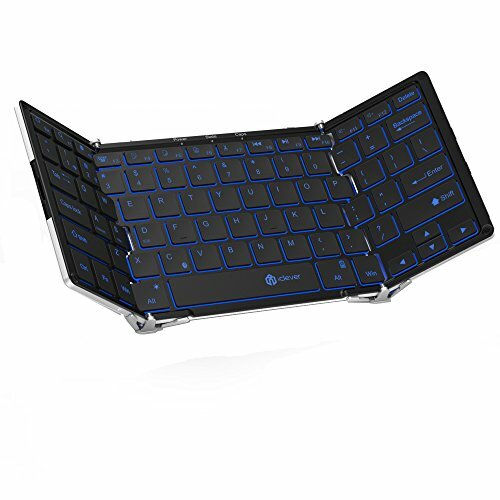 If you stay in one place the whole day, buying a foldable keyboard does not make any sense, unless you live in a van, in which case you need to save space and the size of your keyboard is important. In order to buy the right keyboard for your needs, you must carefully consider what those needs are because in the long run, it might not just affect your pocket, but due to the amount of time we spend on our computers, perhaps also our general well-being. When keyboards came into general use in the late 1980’s and early 1990’s, they replaced writing and typing as the main form of correspondence. Keyboards simply duplicated the old typewriters, with added features. However, it soon became apparent that using keyboards for hours on end, day after day could lead to Repetitive Stress Injuries, and ergonomic keyboards were developed to keep wrists at a more natural angle and stress-free. Ergonomic keyboards are designed to allow your fingers to glide over the keys of the keyboard while keeping your wrists at a more comfortable angle with support for touch typing. An ergonomic keyboard is usually split into two sections, with a wide space in between so that your hand naturally stays on the side instead of having to bring your hands together and turn your wrists outward. Often these keyboards also have duplicate keys, such as the spacebar, so that you can use whichever hand is most comfortable to strike the key. Ideally, an ergonomic keyboard also has a slight negative tilt, in other words, a downward slope that is the most natural typing position, instead of the positive tilt on most standard keyboards. Like all habits, changing the way you type will be a bit of a learning process. Remember, not only do you use your brain when you are typing, you also use your muscles (the whole point of an ergonomic keyboard! ), so you will need to retrain muscles as well as memory. Keep practicing and you’ll soon have the hang of it. One of the key things to remember when adjusting to a more ergonomic environment is to adjust the height of your keyboard. If the keyboard is placed too high, you strain your wrist upwards and that can easily lead to fatigue and stress. Adjust your table, or adjust your chair to keep strain off your wrists and arms, ideally about 1 to 2 inches above your thighs. If you have decided to have a wireless keyboard, it is really simple to connect your keyboard to your PC. 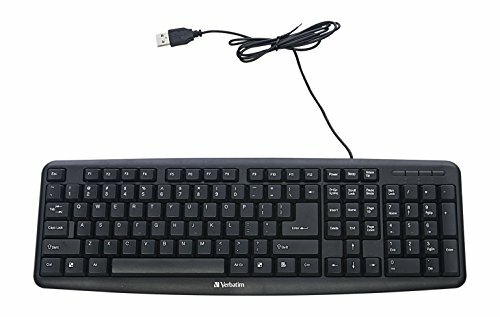 When you purchased your keyboard, you would have been supplied with a wireless receiver which fits into one of the USB ports on the computer. Simply slot the receiver into the port—you will usually see a pop-up window requesting permission for the receiver to use the port. Your keyboard will come with an “On/Off” switch somewhere on the keyboard, usually at the back but sometimes underneath. Make sure the switch is “On” and that you have fresh batteries installed. Finally, your keyboard will also have a “Connect” button which allows it to sync to the receiver on the computer, press that and the keyboard and the computer should be talking to each other—you are good to go! Although there is plenty of anecdotal evidence that using an ergonomic keyboard has definite benefits, like with most modern problems experts disagree on how much of a difference it makes. What is undisputed is that a “one size fits all’ approach to working on computers does not work. If you find that your hands are tired after working on a computer, or have already developed Carpal Tunnel Syndrome, or other Repetitive Stress Injuries, you need to re-evaluate your requirements, and changing your keyboard should definitely be one of your first considerations. However, not only do you need to change your keyboard, you also need to ensure that you are sitting correctly and that your screen is placed at the correct distance away from you. As mentioned previously, you also need to make sure your keyboard and table are placed at the correct height for you to work comfortably without hunching over. The human body was not designed to do the same thing over and over, for hours on end. Make sure you take regular breaks and stretch muscles with a walk or some other stretching exercise. Our computers are being used most of the day, and because keyboards are seldom put away they accumulate an incredible amount of dust and debris under the keys, which will eventually affect the performance of the keyboard. Before you clean your keyboard, make sure that your PC is off. One of the easiest ways to keep your keyboard clean is to tilt the keyboard downwards to allow dust that has settled underneath the keys to slip out. It is good to remember to do this whenever you dust your table—thus avoiding a huge buildup of dust. If the keyboard needs a proper cleaning, you can use compressed air to blow dust particles away. It almost goes without saying but never use water to clean your keys. If the keys are grimy put a little bit of cleaner on a cloth and wipe the keys gently, but ensure that the cloth is never wet as a drop of moisture can do a lot of harm to the electronics under the key. In our opinion, the best ergonomic keyboard for the average household is the Perixx PERIBOARD-512. The keys are comfortably placed to ensure less strain on the hands, the keyboard has a negative tilt to relieve tension, and there is no programming required—plug it into your computer and you are able to use it immediately. Unbreakyourself.com is a participant in the Amazon Services LLC Associates Program, an affiliate advertising program designed to provide a means for sites to earn advertising fees by advertising and linking to Amazon.com. Previous Post Best Ergonomic Mouse of 2019 – Complete Reviews with Comparison Next Post Are Armrests Good For Ergonomics? Is physiotherapy a ponzi scheme? UnbreakYourself.com is a participant in the Amazon Services LLC Associates Program, an affiliate advertising program designed to provide a means for sites to earn advertising fees by advertising and linking to Amazon.com. Amazon and the Amazon logo are trademarks of Amazon.com, Inc or its affiliates. Copyright 2019 by Unbreak Yourself.